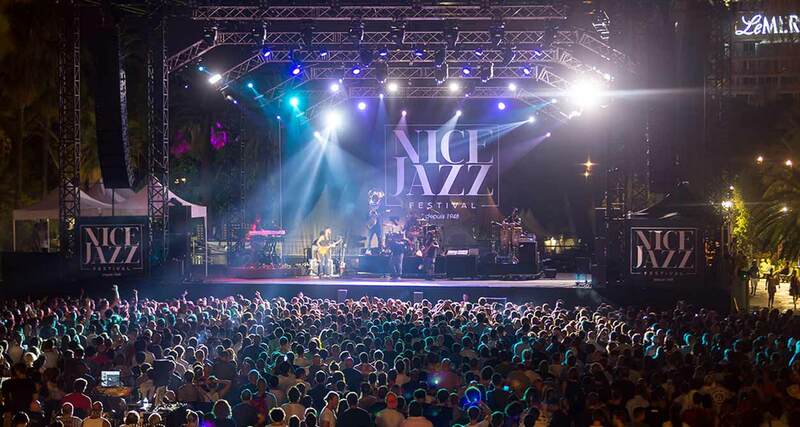 The 70th Nice Jazz Festival swings into action tonight at it's awaited grand opening! The 70th Nice Jazz Festival opens tonight, with performances from Derobert & The Half Truths, R+R=Now and Jack Johnson set to rock the city of Nice from Place Massena. The festival opens belatedly following poor weather conditions putting a halt to it's opening last night. The festival, which first began in 1948, has seen numerous global stars perform down the years. The festival has transformed from it's roots, where jazz legends such as Ray Charles and Ella Fitzgerald graced the stage, to it's current form where pop artists and jazz musicians alike share the spotlight and bring the city of Nice almost a whole week's worth of world class entertainment. Having been described as "the first jazz festival of international significance" by jazz author Alan Axelrod, and "the biggest, flashiest, and most prestigious jazz festival in Europe" by Fromer's travel guide to Provence & the Riviera, the Nice Jazz Festival sure has a big reputation as one of the biggest parties of the year! With the crazy celebrations following the historic World Cup win for France and Bastille Day, the national day of France, things get better and better for the French and all those living on the French Riviera! The summer is truly here so get yourselves down to the Nice Jazz Festival for a real party! Over the next few days, expect to find some top pop musicians such as Aloe Blacc, Massive Attack, Rag'N'Bone Man amongst the plethora of jazz and big band talent. To buy tickets, visit the Nice Jazz Festival website. Have a great time from all the team at Riviera Luxury Rentals!